A private label CBD oil lotion may be a great idea for a new business in the personal care products industry. However, you are uncertain how to manufacture and market it. To make it all happen, you may seek help from companies that offer private label services such as Tropical Products. At Tropical Products, we manufacture high-quality products, including private label CBD oil lotion. Our company can help you execute your idea for your business. We will be there for you from conceptualization up to manufacturing and packaging your private label CBD oil lotion or other merchandise. Look for a company that produces quality products, including private label CBD oil lotion. Introducing a new product on the market can be challenging. Customers may not be open to new players, especially if they have developed loyalty to known brands. Their first impression of your product is critical. That is why you cannot compromise quality with your private label CBD oil lotion. Choose a company that uses premium ingredients for products, including private label CBD oil lotion. Check the experience of a company that will manufacture private label CBD oil lotion. Experience is one of the first things you need to consider with a manufacturer. Ask how long they have been in the business and if they have produced similar products in the past. You may also ask for product samples to see if they are capable of producing your private label CBD oil lotion. You can have peace of mind about your product if you have an established manufacturer on your side. Work with a company that can customize your private label CBD oil lotion. Your private label CBD oil lotion must carry your brand’s unique qualities. Look for a company that can manufacture private label CBN oil lotion based on your specifications. Tropical Products has all the resources you need to help you manufacture private label CBD oil lotion. Over the years, we have developed different formulations designed to meet our client’s requirements. Our knowledgeable team can also help you come up with new and innovative formulations for products, including private label CBD oil lotion. To ensure high customer satisfaction, we take note of all the details you need for your private label CBD oil lotion. 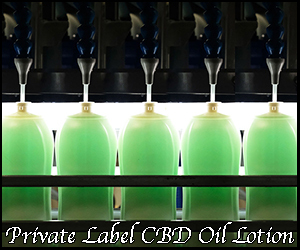 Choose a company that can help with the packaging of your private label CBD oil lotion. Creative packaging is important for any product, including private label CBD oil lotion. It can set your product apart from the rest of your competitors. Packaging can also help your customers recognize your private label CBD oil lotion. Tropical Products does not only manufacture quality private label CBD oil lotion. We can also help you conceptualize the type of packaging you need for your products. Feel free to approach us if you have an idea for your packaging. Consider a partner that can help you ship your products, including private label CBD oil lotion. Having quality products, such as private label CBD oil lotion, is not enough to make your business grow. Reaching out to your target market is another story. You need to make your private label CBD oil lotion more visible to consumers. At Tropical Products, we can help ship your goods to an Amazon facility, which can make your products more visible to your consumers. This will also save you money since you no longer need other distributors. Do you need help with private label CBD oil lotion? Trust only Tropical Products. Our company can help you execute your product idea. Get in touch with us to learn more about our services. We can help you jumpstart your own brand of private label CBD oil lotion. You have a grand product idea, and you’ve identified your ideal niche market and business strategy. As your momentum builds and your excitement grows, you want nothing more than to realize your plans and stock retail shelves with your product. However, you do not have the slightest idea how and where to source it. That’s where we come in. Based in Massachusetts, Tropical Products is a premium manufacturer of high-quality and cost-effective products, which are designed to boost the profits and brand image of businesses. Our mission is to provide budding entrepreneurs with the perfect path from concept to reality. With our decades of experience and extensive knowledge, we bring this ultimate goal to fruition. Turn to us for superior manufacturing solutions, and we’ll have you covered from development to packaging stages. At our company, we combine excellent ideas with best-in-class manufacturing. That’s why we’re able to produce exceptional goods. From concept and development to manufacturing and filling, we consistently accomplish work of the highest standards. At Tropical Products, you conceptualize and we realize. We understand that relevance is crucial to the success of an enterprise. Hence, we specialize in constant innovation and keeping pace with the ever-changing market. Because we know product development is part of the backbone of manufacturing, we don’t charge separately for this service. In product development, we continuously tighten the processes and minimize extra steps for increased productivity and efficiency. Our expert developers also use state-of-the-art technology in drafting concepts, creating designs, and modifying formulations to perfection. Whether we’re tasked to revamp or develop a product from scratch, we guarantee its successful connection with customers’ expectations and needs. A business lives or dies depending on its bottom line. To grow their enterprise, entrepreneurs must be smart about the production costs of their goods and efficiently utilize manufacturing procedures. Tropical Products provides superb outsourcing services for personal care, household, and pet care products. As a contract manufacturing firm, we have the expertise and equipment to perform high-volume production without sacrificing quality and cost-saving measures. This means you benefit from not only our broad experience but also cost and operational advantages if you partner with us. No matter your manufacturing needs and preferences, we’ll bring your vision to life with outstanding precision. Businesses must define their brand before the market does it for them. To conjure a great business image and simultaneously live up to it, you have to make sure your goods are of incomparable quality. Tropical Products offers private labeling solutions that focus on building and strengthening your brand. Our seasoned professionals can manufacture products down to your most minute specifications using industry-leading brands. Whether you require assistance in realizing an entirely custom vision or emulating an existing product line, we’ll ensure the timely and satisfactory completion of your request. If you need custom product solutions, we have you covered. We can tailor the following to your needs. Work with us, and take advantage of these. Convert your best idea into a reality at Tropical Products! We’re your partner in bringing your vision to life and putting your product on the shelf. Contact us today at 1-800-643-7387. For more information, visit our website.